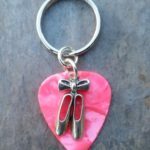 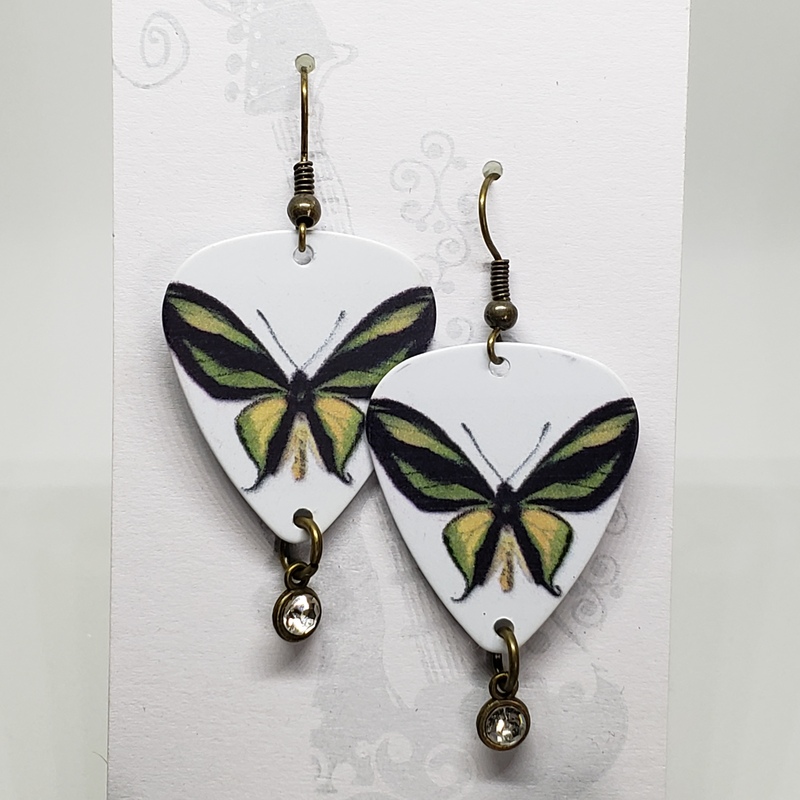 These lightweight guitar pick earrings pack a punch complete with a little silver dangling hearts. 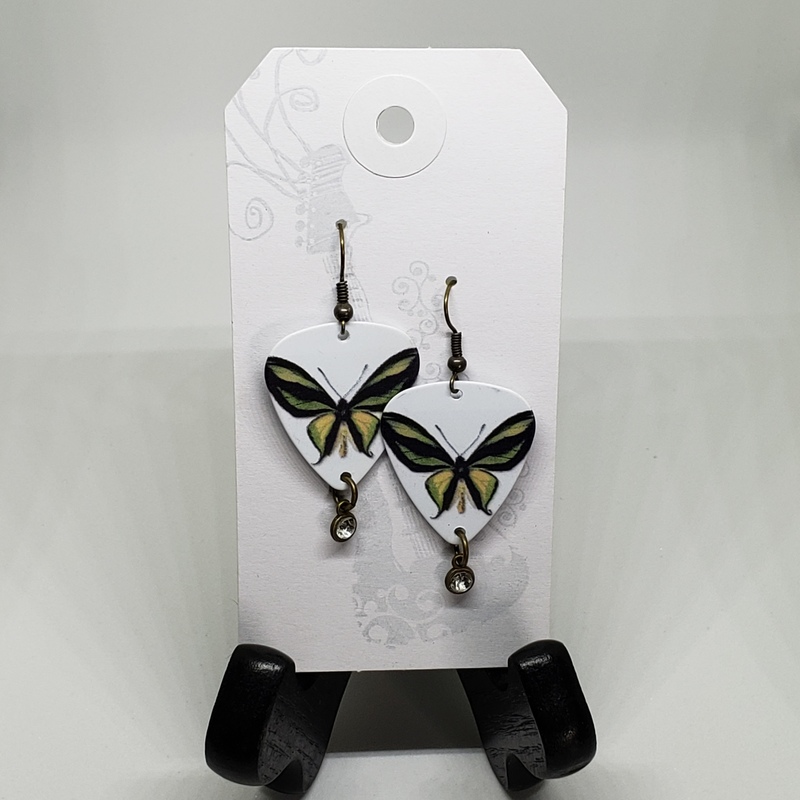 These earrings are 1″ wide and hang 1.5″ from the surgical steel ear wires. 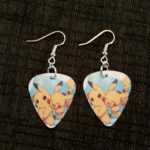 On the back “Girls Rock hotpicksusa.com TM”. They will come in an organza bag.